Bogtrotter spends every day doing the same thing. He runs across the bog, up the bog, down the bog and across the bog. Until one day when he meets a frog who asks “why do you do the same thing all day long?” This gets Bogtrotter thinking and he slowly starts to try new things. This is a simple story with a very powerful message. What happens when we get out of our comfort zone or our ‘bog’ and try something new? The clever use of descriptive language makes this story really come to life. Especially when we are introduced to the setting - the gloomy cave in the marshy, mushy bog. This is a great story to choose if you are targeting prepositions and/or concepts of time as a variety of these concepts are used throughout the book. 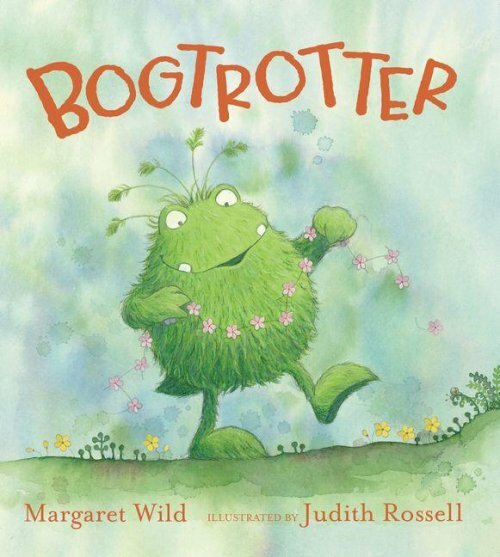 The book, Bogtrotter, can also be used to extend children’s semantic skills to draw inferences about the story. Why did Bogtrotter feel lonely? What did the frog make Bogtrotter realise about his life?